Throughout most of the 20th century and beyond, Canadians elsewhere in the country could serenely ignore provincial elections in Alberta, certain that voting day there would produce a walloping Social Credit or Progressive Conservative majority. Usually, however, Alberta’s internal idiosyncracies provided the rest of the country with comic relief – from the thunderings of “Bible Bill” Aberhart, to the bafflements of Socred economics, to the rise of Ralph Klein as an outrageously populist Fordian prototype. No longer can Canadians outside Alberta afford to avert their gaze. Premier Rachel Notley, who this week called an election in Alberta for April 16, pulled off an eye-popping upset four years ago to become head of that province’s first New Democratic Party government. Now she is an endangered species, last of the women premiers of the last two decades. Since Notley’s election, much has happened to alter the national and Alberta landscape. The federal Conservatives of dour Stephen Harper were replaced by the sunny-way Liberals of Justin Trudeau. Unite-the-Right, the sequel, saw the Progressive Conservatives merge with the Wildrose Party in July 2017 to become the United Conservative Party led by former Harperite Jason Kenney. Alberta, in the Notley years, has engaged in border skirmishes and trade wars with British Columbia, threatening to turn off the oil taps (and banning B.C. wines) over its western neighbour’s inhospitality to the Trans Mountain pipeline. In seeking a second mandate, Notley – who remains personally popular even as her New Democrats trail the UCP in most polls — has commenced a campaign that will have national consequences and from which federal players will draw lessons for the national vote soon to follow. Climate change, the carbon tax, political corruption and racism are among the themes that will play large in both votes. But in 2018, after a federal court ruling that halted Trans Mountain, Notley withdrew from the federal carbon-pricing plan until shovels were back in the ground on the pipeline. To be sure, she has a more complex message to sell on the file than Kenney – just as Trudeau will when he faces off against federal Conservative Leader Andrew Scheer. For his part, Kenney markets much-easier-to-grasp hard verbs. End, halt, eliminate. He has promised to scrap the carbon tax. In fact, he has said it would be the first act of a UCP government. He’s banking that Albertans, after having grown used to prosperity, are focused in these more trying times on the economy and jobs. There can be little doubt that the hyper-partisanship of a Premier Jason Kenney would impact federal-provincial relations. It would embolden the right-wing Doug Fords and Scott Moes of Canada’s premierial class. And it would cause considerable discomfort to Trudeau, should he be re-elected. But Kenney carries his own burdens into the election. In January, a former Alberta MLA quit his local UCP board after complaining of backroom dealing, corruption and top-down control. 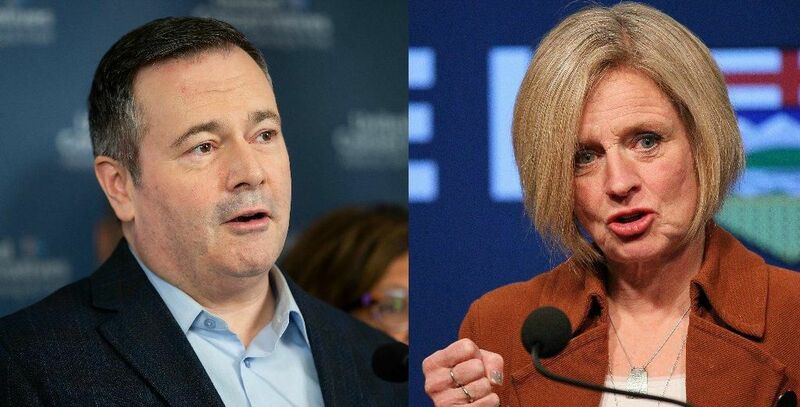 The 2019 campaign was launched amid allegations that Kenney’s camp colluded with another candidate to undercut his chief rival in the UCP’s 2017 leadership race. Notley plainly calculated that campaigning against a rival under ethical clouds offered her the best line of ascent on the uphill struggle to re-election. Justin Trudeau will be watching, too, for fallout from such questions and from the resignation of a star UCP candidate over racist social media posts. She also reportedly wrote that there was a double standard for white supremacist terrorists and questioned whether LGBTQ parades had redeeming value. Kenney had touted her as a “remarkable” candidate and the “personification of the new generation of leadership.” But as the campaign began, Kenney condemned the remarks. Trudeau will surely be gauging the consequence of such views. In recent days, spotting an opportunity, he has attacked Scheer for such missteps as an appearance at a rally also attended by a white supremacist and a failure to immediately denounce the massacre in New Zealand for the anti-Muslim obscenity it was. So stay tuned. In its themes if not its details, the Alberta election will in many ways be a preview for the federal campaign to come.